Destinations with Character Travel is a Full Service Travel Agency Specializing in Premium Research, Planning & Booking Services for All Disney Destinations! Destinations with Character Travel now offers its Premium Hassle Free Planning and Booking services for the Disneyland Paris Resort! The Disneyland Paris Resort (originally called Euro Disney) has been entertaining guests since April 12, 1992. Located just 20 miles (32 KM) east of Paris, it continues to be the most visited theme park in Europe. The Disneyland Paris Resort offers guests 2 Parks: Disneyland Park and Walt Disney Studios Park. Both parks contain a number of re-themed well known Disney Attractions along with a number of attractions known only to Disneyland Paris Guests. 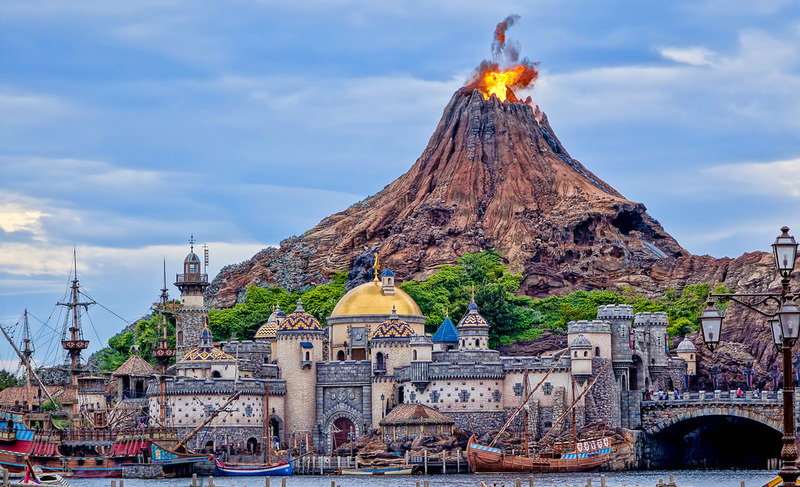 Destinations with Character Travel Agency is proud to be one of the only travel agencies in the United States which plans and books clients for the Tokyo Disney Resort, including a variety of side tours all over Tokyo, Japan. 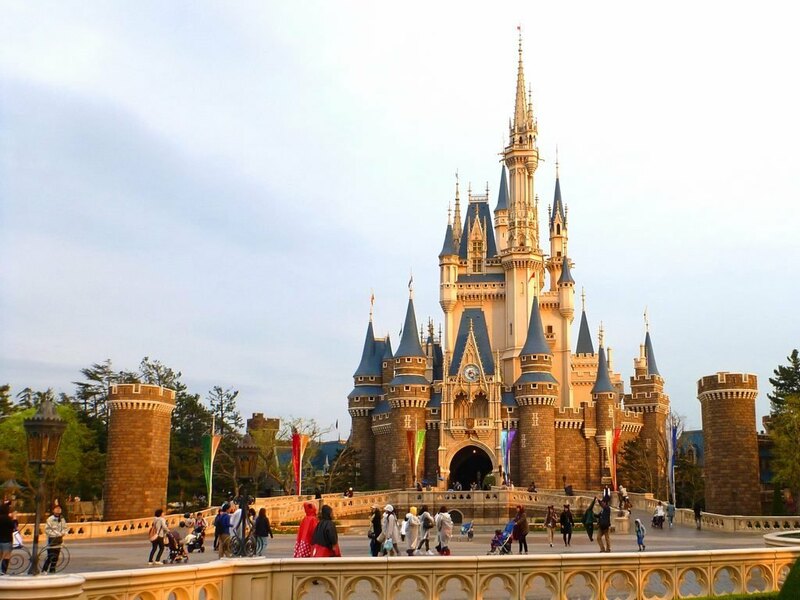 Started as a new service in the summer of 2017, our Tokyo Disney services have become a huge success greatly appreciated by our clients who have traveled there. As time evolves, we have also increased the number of Tokyo area city and cultural tours we can offer clients as side trips while visiting. Most of our clients now book up to a week long hotel stay in Tokyo itself and enjoy all of the sites and sounds this vibrant city offers, before moving to the Tokyo Disney Resort for a 3-4 night stay onsite or at one of the Tokyo Disney Good Neighbor Hotels directly next to the resort. Our planning and booking process at Destinations with Character Travel Agency works a little differently with the Tokyo Disneyland Resort. The Tokyo Disneyland Resort is entirely owned by The Oriental Land Company. The Walt Disney Company owns no stake, but rather licenses The Oriental Land Company to run The Tokyo Disneyland Resort. As is the case, U.S.Travel Agencies can not register with The Tokyo Disneyland Resort to sell vacation packages on a commission basis as we do with The Disneyland Resort, The Walt Disney World Resort, and Disneyland Paris. In order to accommodate our clients, Destinations with Character Travel Agency has developed our very own process of planning and booking your Tokyo Disneyland Resort vacation through their consumer site, using our preregistered account, and billing you, our client, based on the commission normally provided by the Walt Disney Travel Company. Our clients have been very happy and excited with how this arrangement has worked out. A few things to know about Tokyo Disneyland Resort bookings. Hotel availability open up on a 6 month window frame. This allows us to only book your hotel 6 months prior to your arrival date, but does not prevent us from working and planning with you up until that time. Tokyo Disneyland Resort tickets are sold on a 3 months window frame. Just like with the hotel booking time frame, this allows us to only book your tickets 3 months prior to your arrival date, but does not prevent us from working and planning with you up until that time. The Tokyo Disneyland Resort was the first Disney Park built outside of the United States. It is a 115 acre theme park located in Urayasu, Chiba, Japan near Tokyo. The resort was opened on April 15, 1983. While the resort was constructed by Walt Disney Imagineering, it is completely owned by The Oriental Land Company, licensing the theme from The Walt Disney Company. The Tokyo Disneyland Park has an extensive amount of open land throughout the park to accommodate the large crowds that attend. It’s center piece is Cinderella’s Castle, built as an almost exact replica of Cinderella’s Castle at the Walt Disney World Resort’s Magic Kingdom. The Tokyo Disneyland Park has 7 themed lands: “World Bazaar”, “Adventureland”, “Westernland”, “Fantasyland”, “Tomorrowland”, “Critter Country”, and “Mickey’s Toontown”. Both Tokyo Disneyland and Tokyo DisneySea contain some very familiar (but slightly re-themed) attractions from the U.S. Disney Parks. They also contain some unique attractions of their own and some no longer at the U.S. Disney Parks. The Tokyo Disney Resort offers a number of on-sit hotels in both the Deluxe and Value categories along with some local “Tokyo Disney Official Resort Hotels”. Sunroute Plaza Tokyo, Sheraton Grande Tokyo Bay Hotel, Tokyo Bay Maihama Hotel, Tokyo Bay Maihama Hotel Club Resort, Hilton Tokyo Bay, Hotel Okura Tokyo Bay.